If you don't mind shoveling a lot of snow, living in Rochester could help keep the stress at bay. Work hours are shorter than average and -- at only 21 minutes each way -- commutes are, too. "You can get just about anywhere in 15 minutes," said Rochester Mayor Lovely Warren. Thanks to moderate living costs, most people can afford to live here. And since families are smaller than average, there tends to be fewer mouths to feed and less college tuition to worry about. Still, the area has struggled with unemployment, which Warren said the city is trying to tackle through work training and other programs. 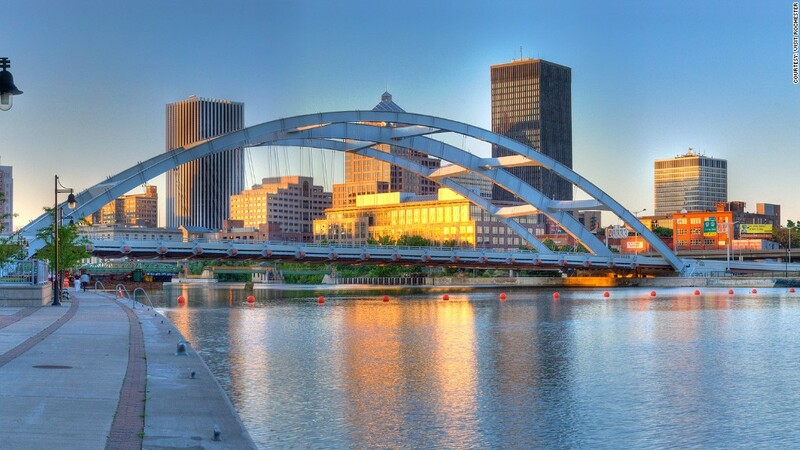 In May, the Obama administration said Rochester would take part in an initiative aimed at bringing new manufacturing jobs to the city.